What if all the crushes you ever had found out how you felt about them… all at once? Lara Jean Song Covey (Lana Condor)'s love life goes from imaginary to out of control when the love letters for every boy she’s ever loved - five in all - are mysteriously mailed out. 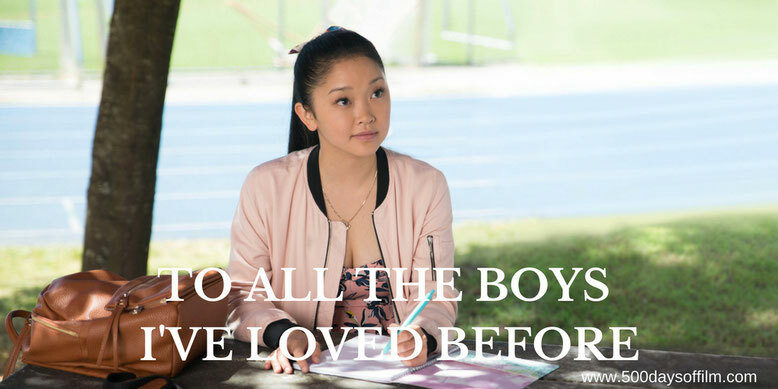 I enjoyed To All The Boys I’ve Loved Before for much the same reason that director Susan Johnson decided to adapt Jenny Han’s popular YA novel. “There is so much angst in the world right now, and hatred, and distrust, and To All The Boys I’ve Loved Before is sweet, and joyful, and optimistic,” the filmmaker explains. As a result, while the story is predictable and doesn’t attempt to break any new ground in the romantic comedy genre, To All The Boys I’ve Loved Before is, nonetheless, a thoroughly charming and entertaining Netflix Original film. Much of To All The Boys I’ve Loved Before’s success is down to Lana Condor’s charismatic and engaging performance as Lara Jean.“With Lana, I knew as soon as I saw her first audition that she would be Lara Jean," Johnson recalls. Condor is joined by a likeable supporting cast. Noah Centineo is particularly good as Peter and I enjoyed spending time with Lara Jean's family. Meanwhile, the film's exploration of grief and loss is handled well. In addition, To All The Boys I've Loved Before is really rather gorgeous to look at - the costumes, lighting (Johnson is joined by cinematographer Michael Fimognari) and set design are all extremely pleasing on the eye. So, if you are in the mood for a sweet and charming YA romantic comedy, I would recommend To All The Boys I’ve Loved Before. It’s one hour and 39 minutes of charming feel good entertainment. Susan Johnson also directed another charming romantic comedy / drama - 2016’s Carrie Pilby. If you haven’t seen this film (starring the brilliant Bel Powley), it is well worth a watch. Have you seen To All The Boys I’ve Loved Before? If you have, what did you think of this movie? Let me know in the comments section below or via Twitter. You can find me @500DaysOfFilm. Thank you so much Allie! I hope you enjoy it... let me know what you think!